Put your name on the waitlist here. If you know a bunch of short form games, and now you really want to learn how to play them skillfully, Short Form 2 is your class! Let's take a good long time to explore some specific core short form games. And let's expand what short form is capable of because at its core, short form is just a scene with a clear game right up front. This pre-set structure allows us to find our characters, relationship, and patterns much more quickly than normal. We'll explore just how deep we can dive into a short scene and really push the boundaries of what this simpler, audience-friendly format can do. What's the mindset for performing short form? How can you maintain honest scenework in gibberish? How can a large arsenal of short form games benefit your longform scenework? How can we perform these games artfully? 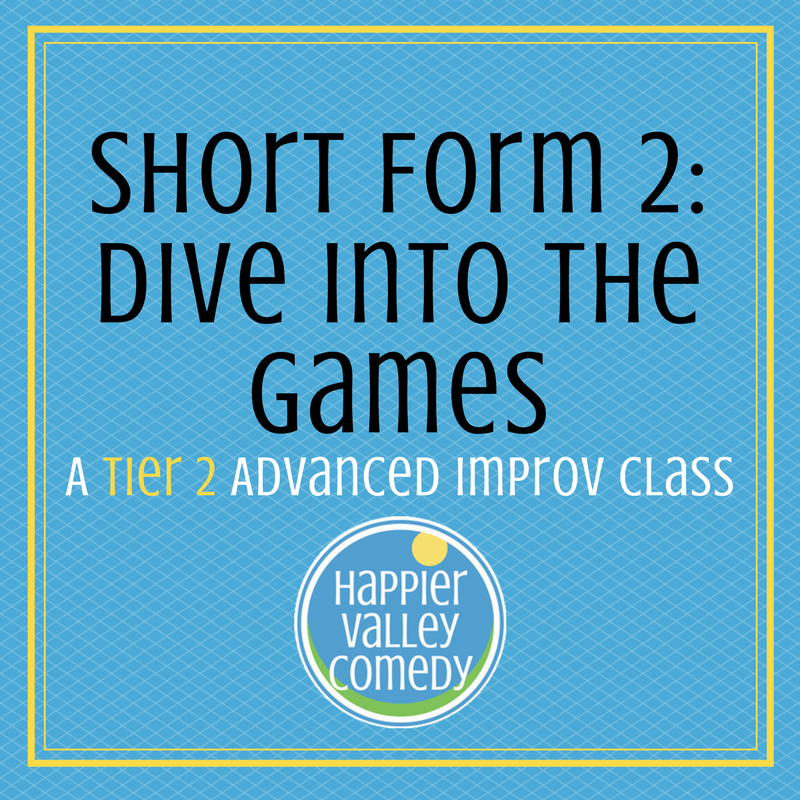 Let's dive deeply into the individual games to help you learn the in's and out's, tips, and tricks of short form comedy. This class is now full. Put your name on the waitlist below, and we'll let you know if a spot opens up.